Each dot represents one unique student in a school using the Panorama Student Survey this year. As educators, we believe student voice enriches classrooms and schools. 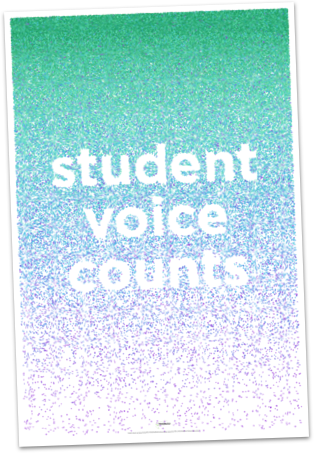 To celebrate the experiences and perspectives of students, we hope you'll print and share the Student Voice Counts poster. Student voice captures the capacities of students and adults to work together to make great school communities. 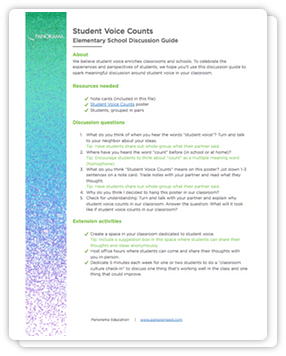 Listen to what a few students said when we asked how student voice counts in their schools. 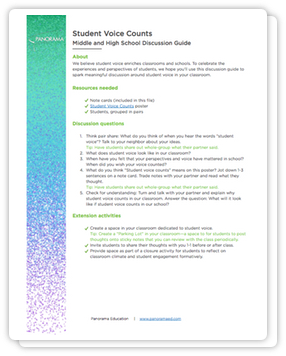 Download our discussion guide to use with middle and high school students. Sample question: "When have you felt that your perspectives and voice have mattered in school?" We recently partnered with Student Voice, a student-led, non-profit organization spearheading a social movement to integrate student voices into the global education conversation, to amplify this message.